After testing the developer preview and beta build for months, Google publicly released Android Pie (9.0) last year in August on the company owned Pixel devices. 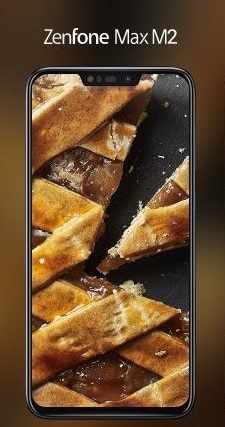 Afterwards, Pie made way to several OEMs’ update compatible devices, and continues to do so. 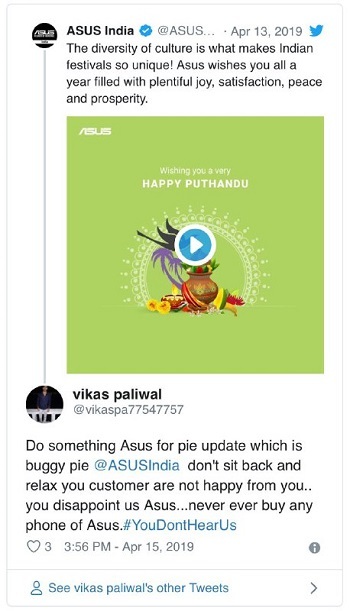 It was by the end of February this year when ASUS revealed their agenda for which of their devices will get to bite the Pie. Though they shared the device names, they did not provide any information about the time line as to when the particular devices will be receiving the update. And left their users waiting…….. 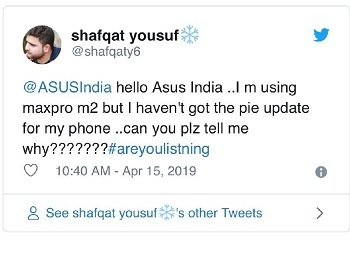 But finally last week, among the Asus’ ZenFone Max phone lineup, three of their devices namely Max Pro M1, Max 2 and Max Pro (M2) started receiving the much awaited Android Pie (9.0) update. However, despite releasing in the month of April, the update dubbed v16.2017.1903.050 (Max Pro M1), v16.2018.1903.37 (Zenfone Max M2) and v16.2017.1903.061 (Max Pro M2) brought along last month’s security patch instead of the latest one. 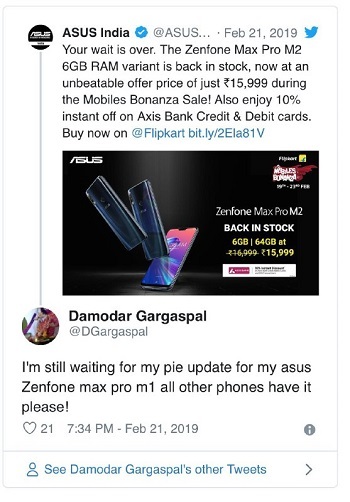 But if you take a quick look at social media platforms, a lot of users can be seen complaining that their Max Pro (M2) has not received Pie yet. Here are a few reports for a quick glance. While some users are still waiting and inquiring when the update is going to land on their Max Pro (M2) units (it being a staged roll out), what has now come to our notice is that the update may have been pulled 😰. 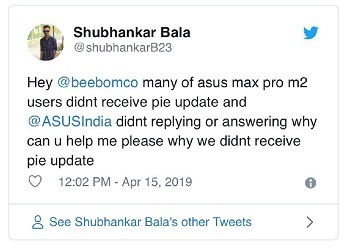 As we were weaving our last story related to Zenfone Max Pro (M2) bugs and issues that are being chimed after installing Android Pie, we stumbled upon a couple of reports with users saying the update roll out has been stopped. So we thought of digging in deep and managed to find few more users reporting the same thing. 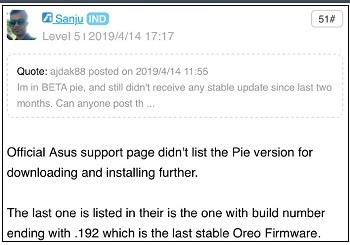 It seems Asus has stopped seeding the update or may be it recalled and will release a new and updated pie stable.? 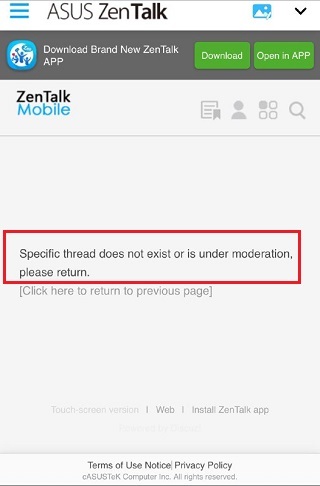 Moderators please respond.. what exactly Asus is doing? This is stock Android and so many problems? 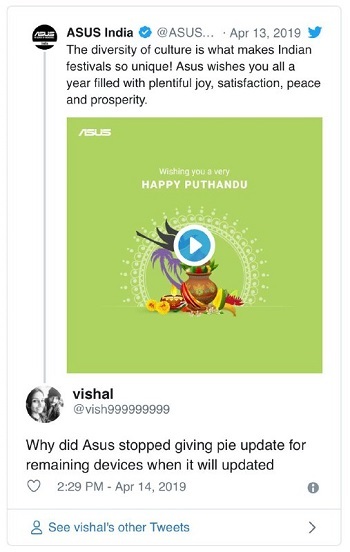 Asus has stopped rolling out this pie update… They are again working on this update for its betterment. I have just spoke to customer executive miss Mrunal. She told me that Asus has stopped the roll out of this so called stable pie update… It will roll out again soon..!!!!!! If you take a look at XDA’s coverage about Android Pie releasing on Max Pro M1, Max M2 and Max Pro M2 in India, the available link for Max Pro (M2) throws an error, while the ones for Max Pro M1 and M2 redirect to release notes page on the company’s official help forum. Here’s the error in question. Same is the case with the update link that other media publications like Gadgets 360 and GSMArena provided. 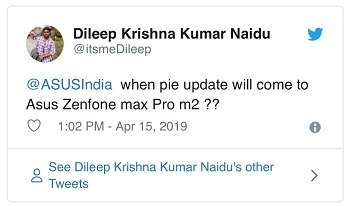 One of the users has also pointed out something like that at the company’s official help forum, saying the last available update for Max Pro M2 is an Oreo one. We verified the same here. 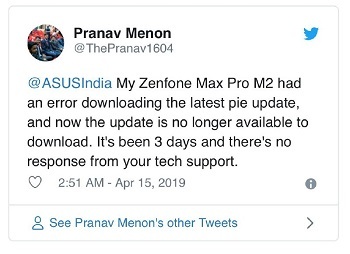 As far as we can see, all proofs point out in the direction that Android Pie update has been pulled back from ZenFone Mx Pro (M2). 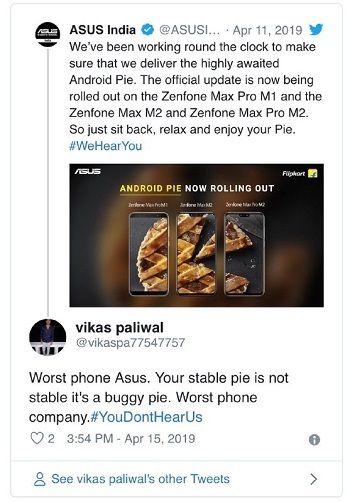 ASUS may have stopped or halted the Pie’s roll out presumably due to user feedback regarding the bugs/issues like screen flickering or blinking and others plaguing it. 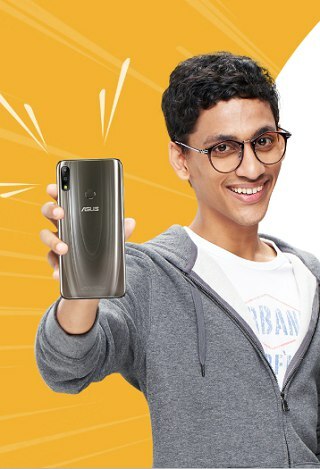 Though there is yet to come any official confirmation from ASUS itself. Rest assured, we are keeping and active tab on the matter and will update the story as and when any new development comes to our sight. In case the update is not available for you anymore or if you have any additional information regarding the matter discussed here, feel free to share with us by dropping a comment. 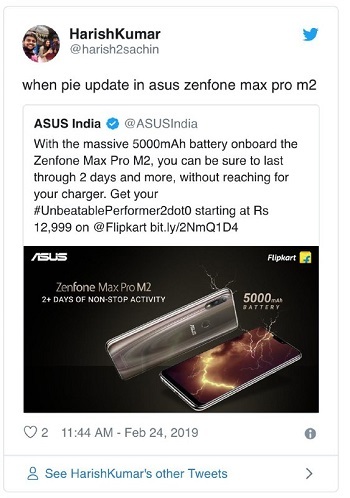 A different forums moderator recently informed ZenFone Max Pro M2 users that Android Pie update was rolled out for devices in Indian region only. For the rest, it is still being optimized. Android Pie has been released for ZB630KL in India region. For ZB631KL(WW/TW), we are actively preparing and conducting tests to ensure optimized performance of the system. NOTE: Found this story interesting? We have covered several other ASUS-related stories in the past. You can access them by heading here.